If you haven't heard about upcycling, you need to read our post. The upcycling trend is hot both in the world of fashion and interior decor. There’s definitely a growing interest in developing sustainable methods that allow us to make the most of our resources, reducing waste. If you haven’t heard of this term before, maybe “creative reuse” will ring a bell. Now, you’re probably getting a better idea of what this trend is all about. Yep, it’s a trend that’s led by creativity and, of course, an ecological measure. So, what does upcycling exactly entail? Well, it means taking objects and materials that seem like they aren’t good for anything anymore and, with a little creativity, giving them a new purpose. Or, in other words, upcycling is transforming trash into something worth having. Upcycling: upcycling is taking a few wooden pallets and converting them into a bedstead. Or, it’s taking a pair of jeans and converting them into a bag or another fashion article. Recycling: recycling is taking sheets of paper and converting them into pulp to create artisan paper. Often in recycling, what the original object or material was isn’t always clear; in upcycling, however, it is. Another difference is that in recycling, the value of an item doesn’t always increase while it can in upcycling. So then, what are some similarities that the two share? Well, one clear common factor is that in both recycling and upcycling, you need some imagination to create a new, useful object that doesn’t result in more waste. These days in home decor, trends like upcycling end up being quite convenient because they help us save money while enjoying handy, original items that are full of personality. Upcycling doesn’t just result in furniture pieces or accessories, but it can also create toys to fill children’s rooms. In one of its most recent collections, Hermès fashioned the outer material of basketballs into a deer. And the result? A precious, valuable piece. Glass bottles: transform them into a light fixture, small vase, candle holder, flower pot or attach a head to them to make dolls. Ladder: you can use ladders as a shelf, towel holder, shoe rack, coat hanger, plant shelf, etc. Decorative ladders are some of the hottest decor objects these days. You can paint and adorn them how you like. Fruit crates: convert them into shelves, side tables, kitchen organizers, magazine racks or a set of drawers for children. Similar to pallets, fruit crates offer a lot of options for decor. Tires: if you have a garden, you can decorate them a little and use them as a swing. Some people convert them into a pet bed or outdoor furniture (tables or sofas). Cans: with some paint and a little decor, cans can make a lovely candle holder. Or, you can turn them into a little lantern (they’ll look great along with some string lights nearby), flower pots, silverware holder or pencil holder. 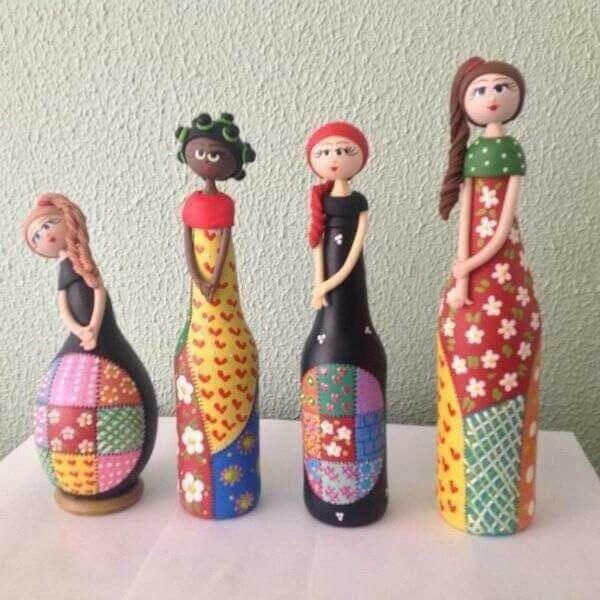 They can even become a sleeve for wine bottles. Plastic bottles: you can use plastic bottles to create all kinds of things. For example, you can make nice pots for a vertical garden. Anything and everything can become something new; it’s just a matter of finding the options. You only have to give objects a second chance. 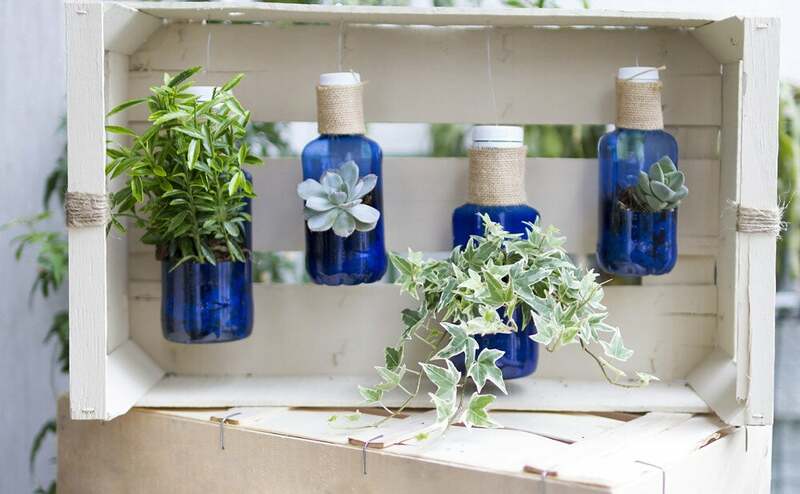 Upcycling is a trend that invites you to exercise your creativity in a sustainable way. In light of that, it’ll most definitely catch on in other sectors besides fashion and interior decor as well. And remember, despite the fact that many sources might say something like: “recycle your old pants to create a bag”, they actually mean upcycling, not recycling.